Motivation to learn is a complex problem. Young people learn for it's own sake, out of sheer curiosity and the pleasure of discovery, up the to point of anxiety (Shreyas Saxena's answer is awesome). This kind of motivation to learn can lead to developing skills and increasing your personal abilities and knowledge. Taking classes and or following along in "learn to X" books are ways to learn that are designed to situate the learner under the extreme anxiety threshold and produce actual learning on the subject being studied if the student makes a consistent effort and does the exercises. This natural motivation to learn is not the only motivation. Many people begin developing other learning motivations as they age. Part of this may be biology. Part of it may be that new ideas challenge old ideas and letting ideas go becomes very difficult, like a bad habit. Part of it may be that some people need their knowledge to be more integrated and integration becomes harder and harder as more is learned. (A lot of what we learn is compartmentalized and contradictory). Part of this may be a motivation to get "the Truth", and once obtained, there is no motivation to learn new things (this is a personal perspective/feeling of the truth seeker and not an extrinsic fact). You may experience the desire to learn so many things and can't seem to focus on any one. Some people have an existential crisis that causes them to start thinking of their life in a different way and this alters their motivation to learn. If you are asking, "what is the point of learning this?" then you may be having a crisis of purpose. Some people with static theories of mind will reach their natural abilities limits and mistakenly believe they are not good enough, smart enough, etc to continue on a difficult learning task. (this is an illusion, learning correlates to effort). All of these different learning related motivations can contradict each other and your own earlier natural impulses. Conflicts among motivations will produce anxiety. This anxiety makes it harder and harder to learn. If this happens to you, you are facing the deeply personal question: Why learn? Why spend the effort learning? And if I am going to learn more, what should I learn? Every person reaches this point. 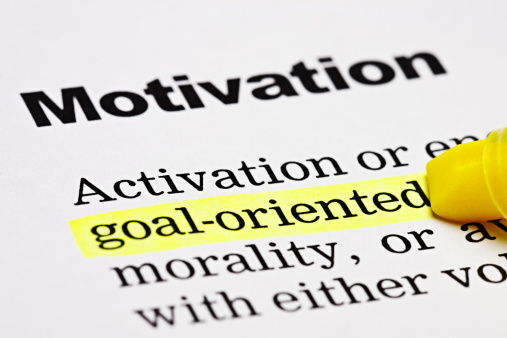 Many people do not recognize that they have reached this point and mistakenly believe their sub-motivations are what guide their life and continuously experience motivation conflicts and deep bouts of anxiety that sabotage their learning. If you do not want your learning drive to diminish, you must try to answer these questions in a way that works for you. There is no one right answer, but there are gradients of answers where some are better than others. To continue being a highly motivated learner, look for answers to "Why Learn?" that excite you to learn more. If you think you aren't as smart as you thought, you have to disabuse yourself of that belief (look up self-theories). Challenge yourself with tasks where you believe you are not smart enough to accomplish You are capable; the belief you are not smart enough is an illusion. Questions about purpose, indicate you need to direct your learning to areas that give you a sense of purpose and meaning in your own life (don't let someone advertise or sell you on what that is, seek it out by feel). If you want certainty, then take a deep breath and engage in challenges that disabuse you of that notion; you'll find something more certain by doing so. If you want a coherent model of knowledge, you need to work both up and down the chain of knowledge - start looking into physics and philosophy concurrently, and get into the gaps between knowledge and try to figure out how they connect (lots of good work needs to be done in those gaps). The core rule about learning is this: Have fun. You may have stopped believing that this alone is a reason you should be learning. You are wrong. If you have fun learning, then you are going to learn a lot regardless of anything else. If you can push that sense of fun into areas of high anxiety, where you feel totally lost trying to figure things out, you will learn even more. Your drive to learn is not necessarily correlated with how much you learn. How much you learn is related most closely to the quality of consistent effort. If you want to maximize your learning, then go swimming in the deep end, with deep confusing problems, and deep questions and have fun when you do. (you can never drown in the sea of knowledge, regardless of your anxiety).